Why do I need a degree in Pharmacy Technology? What is a validating technician? A validating technician is a technician that is allowed to check SOME of the work other technicians complete. (Specifically, medications that will be stocked in automated dispensing machines.) Traditionally, a pharmacist checks all of the work technicians complete. So, I’m not required to have a degree to work as a pharmacy tech in North Carolina? That is correct. However, you MUST have the degree if you want to work as a VALIDATING TECHNICIAN in a hospital setting. More and more hospital pharmacies are requiring some type of education or experience when hiring Pharmacy Technicians. The more education you have the more competitive you are for employment. By the year 2020, anyone wishing to become nationally certified through the Pharmacy Technician Certification Board (PTCB) must complete an ASHP accredited pharmacy technician education program. Do Pharmacy Techs make more money in a hospital setting versus a retail setting? What are some activities of hospital pharmacies? Is this a limited enrollment program? Yes. 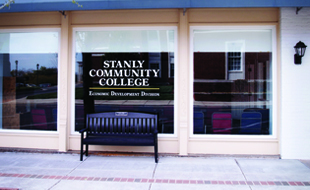 Students may apply by filling out an application at www.stanly.edu. 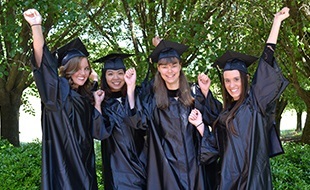 Once admitted to the Pharmacy Technology program, students must take all the courses in sequence. A “C” or better must be earned in all courses to stay in the program. 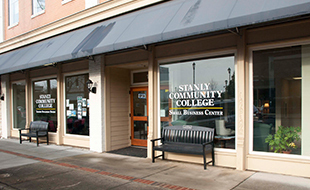 For a complete list of admissions requirements please visit http://www.stanly.edu/.